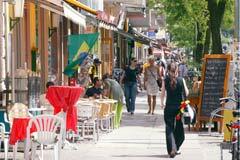 The best place to learn German is in a country where it is spoken. And, given the choice, wouldn't you rather learn German in the biggest and most interesting German-speaking city of them all: the German capital? Coming to learn German in Berlin is the best decision you can make. As the Berliners say, “Berlin is the best“. After just a couple of weeks in Berlin, you'll wish you could stay forever! In the years following German re-unification, Berlin has developed into a modern metropolis. 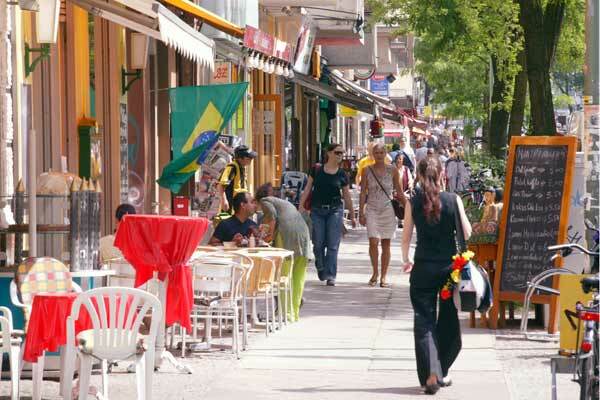 Even with almost four million inhabitants, life in Berlin has stayed pretty relaxed and straightforward. This is probably because Berlin is made up of what were once a number of small villages, something you can still see traces of today. Exploring Berlin couldn't be easier thanks to its extensive 24-hour public transport system. The best place to start is in Schöneberg - not only is the school here, but also many of the guest flats used by our students. You can start planning your day as you share breakfast with your German hosts. They will certainly want to help you get to know the city better, and will have some great tips for you. Over dinner you can talk about life in Berlin, and share your first impressions of the city with your hosts. Staying with a German host family will give you more than just an insight into our culture; it will give you a chance to build friendships, too. Depending on your age, interests, and personal requirements, we will find just the right family for you. The PROLOG team will gladly help you to explore Berlin. We offer day-trips, a culture programme, and regular social activities. Berlin has something for everyone, whether it's art and culture, sport, nature, shopping, or night life - it's all on offer. All the information you need about life in Berlin and the types of accommodation we have on offer is just a click away - so get clicking!